The final Android Wear 2.0 developer preview has launched with iOS support being the standout feature. 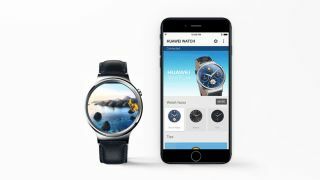 In this fifth update, iPhone users can now pair a test watch (either the Huawei Watch or LG Watch Urbane 2nd Edition) using the Android Wear app available in the App Store. No big deal, right? The current iteration of Android Wear already supports iOS devices, but the operability of compatible watches is vastly inferior compared to the experience that Android users currently enjoy. But this actually a big deal, as Google is granting watches paired with an iOS device the same native app ability that we’ve seen with Android-paired devices. Thus, you’ll be able to install apps straight from the Play Store built into the new OS, which makes Android Wear 2.0 a much more tempting wearable solution for iPhone owners. As we move closer to its official release in early February (rumored to be February 9), it’s welcome and honestly, a bit surprising to see Google adding such a substantive feature to the already-long list of improvements coming along with Android Wear 2.0. Once it launches, the Apple Watch could see some stiff competition. For instance, LG is rumored to be releasing two new smartwatches early next month, the LG Watch Style and LG Watch Sport, two options that could go up against the Apple’s offering in terms of feature set and value.